After a leisurely breakfast of yoghurt, eggs, toast and marmalade sat at the table in our cosy studio flat in Solna, we wandered down the hill and caught a blue line metro to Kungsträdgården from where we transferred to a 67 bus to Djurgården as the metro does not connect with this island. In the 16th century Djurgården became a royal hunting ground when King Gustav Vasa confiscated the land from the Catholic Church. Literally translated Djurgården means ‘animal garden’. 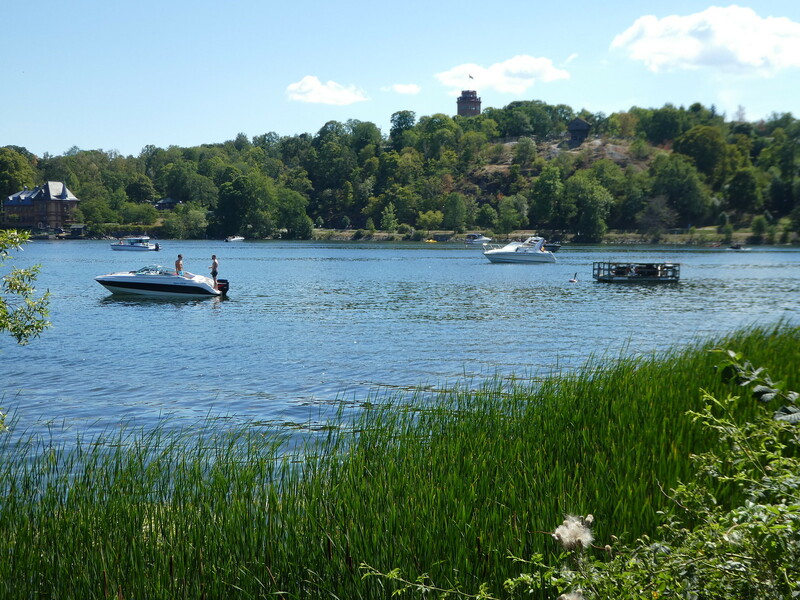 After the island was opened to the public in the 18th century it became a popular recreation area. The 67 bus terminates at the Skansen open-air museum but we alighted one stop earlier outside the ABBA museum. I had grown up with the music of ABBA and have happy memories of school discos and going out with friends on Saturday evenings dancing to Fernando, Dancing Queen and all their other hits. It was only fitting then, that on a first trip to Stockholm, a visit to ABBA The Museum was an absolute must. My husband was accompanying me on this holiday and I have to admit he didn’t share my enthusiasm for ABBA but needless to say, I dragged him along regardless. 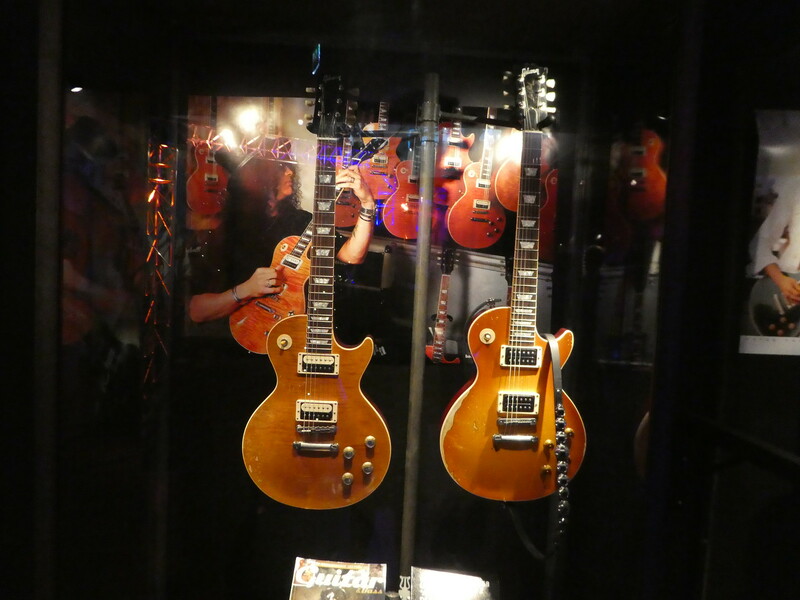 Tickets to the museum cost SEK 250 (£21.25 each) and at the time of our visit, the ground floor gallery was featuring a temporary exhibition on Guitars of the Stars. This collection of signature guitars seemed to interest Mr. C as it included Eric Clapton’s black fender Stratocaster ‘Blackie’. This world famous guitar is chipped, scratched and cigarette burned from years of playing and touring. I was more interested in taking the staircase down to the floor below where the ABBA story began. ABBA were one of the world’s most successful pop groups with more than 380 million albums sold. Fans are said to flock to Stockholm from all corners of the world specifically to visit this museum and to pay homage to their pop idols. 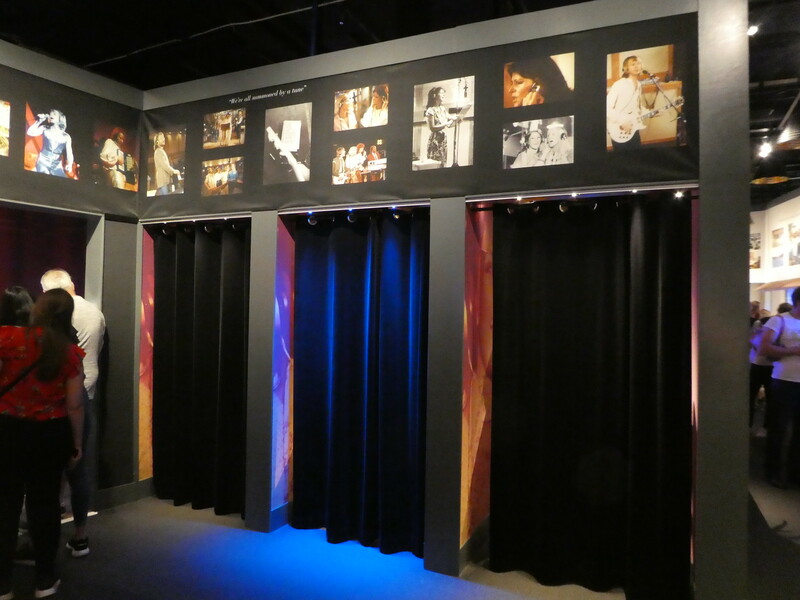 ABBA The Museum story begins with the early lives of Björn, Benny, Frida and Agnetha growing up in Sweden, becoming involved in music and of how they came to meet up and form the pop group ABBA. We then relived their entry for the 1974 Eurovision Song Contest which took place in England’s south coast resort of Brighton. Following Eurovision, ABBA soared to instant fame with their winning song Waterloo. After Eurovision, stardom followed and the museum charts their success through videos and memorabilia. In the Gold Room we were able to view many of their spectacular costumes and discover when each of them had been worn. On display were original gold and platinum records plus album covers of singles and LP’s sounding very dated now in the days of digital downloads. Our tickets came with QR codes enabling us to take part interactively in a recording studio and to sing karaoke, with our recordings saved as lasting memories of our visit. There were three small karaoke rooms and although the museum was quite busy, there was only a short queue to sing along to their hits. Each ticket allowed one song and as Mr. C. could not be persuaded to have a go, this meant I was able to use his ticket as well as my own. It has to be said that I’m not an expert at karaoke but feeling quite confident I selected Mamma Mia for my first track and did surprisingly well, achieving a reasonable score. Spurred on by this success, I then opted for Dancing Queen but found this to be much harder to keep the rhythm with and I fared much worse. For those visitors who feel like performing in public there is a large hologram stage where one can become the fifth member of the band for a few minutes at least. I only saw one person brave enough to try this but she seemed to be doing quite well. Before leaving the museum I popped into the small recording room, scanned my QR code once again and sang along to ‘Thank you for the music’ which is one of my favourite ABBA songs. There’s lots to see and do and I would suggest a visit of around 90 minutes. It was a very uplifting experience for ABBA fans of all ages. Visitors were predominantly female and ranged from teenagers to grannies, that’s the thing about ABBA, their music is loved by a wide audience transcending generations. 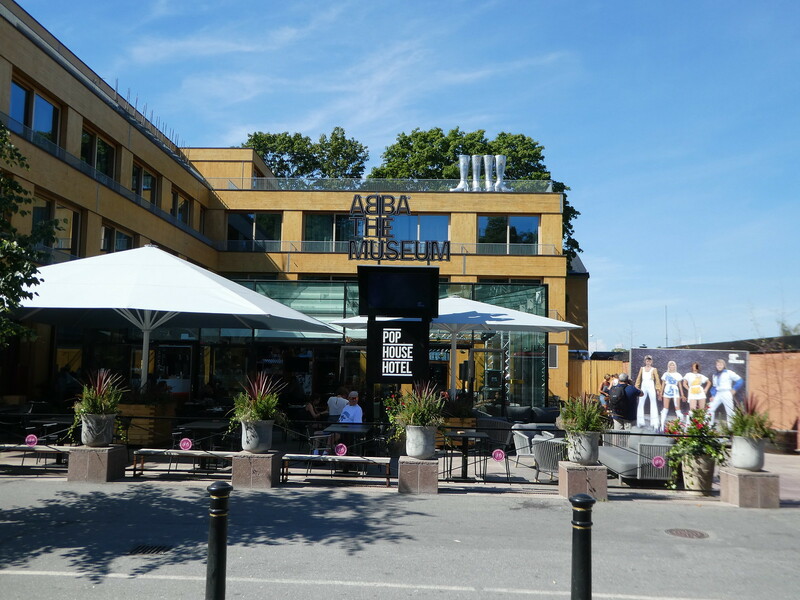 Alongside the museum there is a cafe/restaurant, gift shop and an ABBA themed hotel. The museum’s tagline is ‘walk in and dance out’ and I left the museum in a joyous mood singing ABBA songs as we wandered along to the Djurgården waterfront. Here, we admired sailing boats moored alongside the quay. This was more to Mr. C’s liking than ABBA but he did admit to having enjoyed some aspects of the museum which was a bonus. A little further on at Galärvarvet we came across two historic ships which are part of the Maritime Museum and are free to go on board. 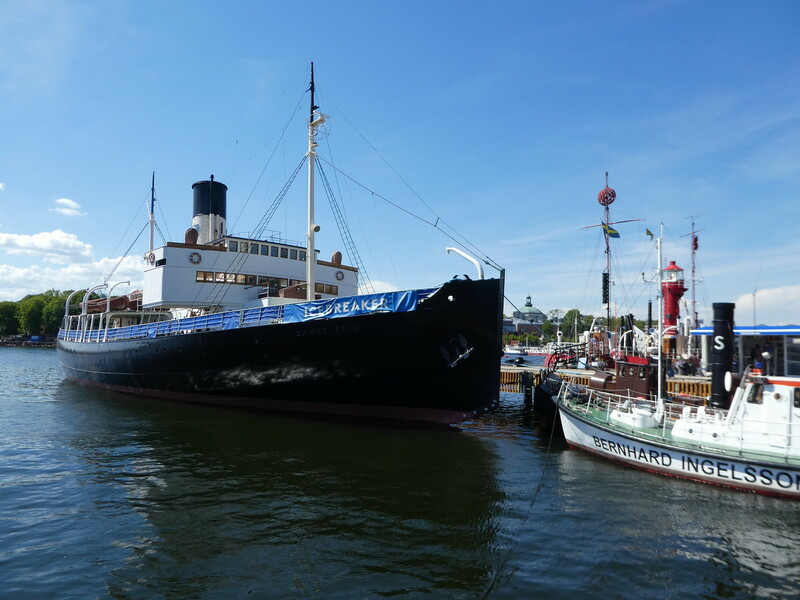 The first one we explored was the icebreaker Sankt Erik which was Sweden’s first seafaring icebreaker launched in 1915. She was decommissioned in 1977 and has been a museum ship since 1980. 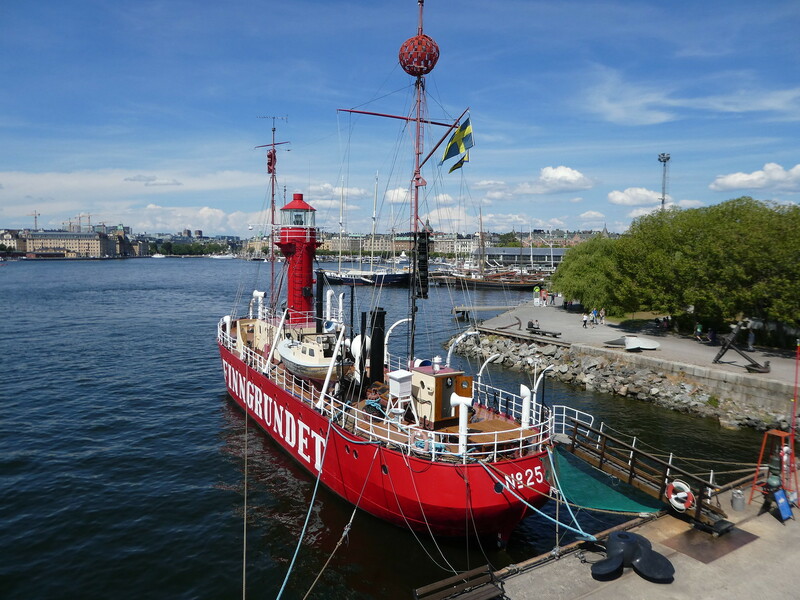 Next, we climbed on board the adjacent lightship Finngrundet which was constructed in 1903. She was stationed in the South Bothnian Sea during the ice free parts of the year and used to mark the location of shallow waters. As automated lighthouses began to replace lightships in the 1960’s she ceased operating in 1969 and became a museum ship the following year. After clambering up and down narrow flights of steps exploring these boats we were ready for a sit down and some lunch so we strolled further along Strandvägen to Djurgårdsbron and enjoyed cool glasses of beer and a light snack at a cafe/bar by the bridge. It was quite an expensive cafe but it was lovely to relax on their comfortable sofas shaded from the midday sun whilst enjoying the gorgeous views across the water. Feeling refreshed, we set off again crossing the bridge and continuing through the Royal Djurgården park for about a mile to the main building of the National Maritime Museum. It was a very pleasant walk through the park, its path hugging the coastline with smart, little cafes and boat moorings along the way. Many people were enjoying the unusually hot weather with some families having picnics whilst others just lazed on the grass, topping up their tans. Eventually the Maritime Museum came into view, a gently curved neo-classical white building overlooking the bay. 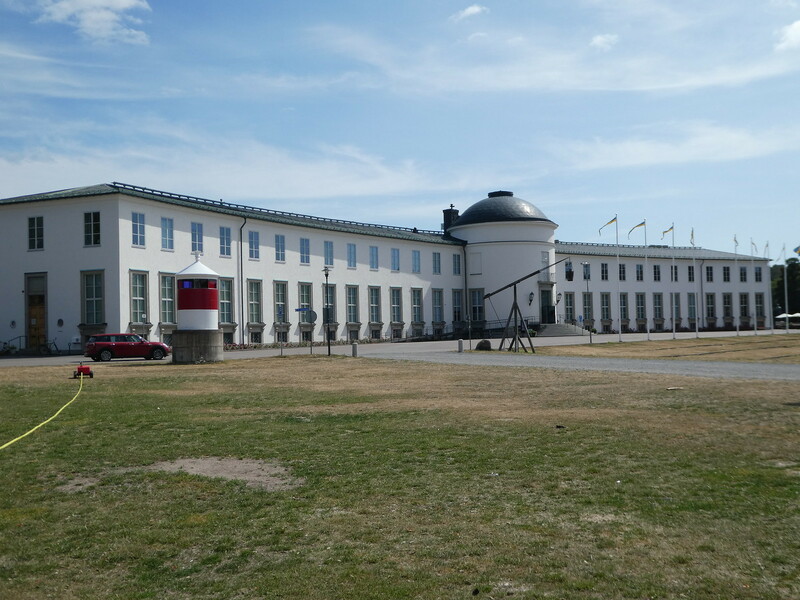 This museum offers free entry and documents Sweden’s dominance in maritime history. 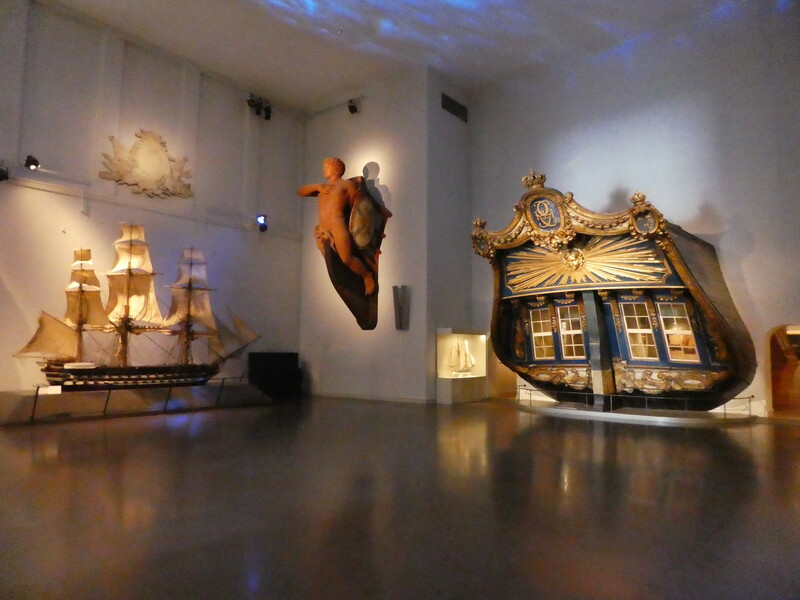 The galleries cover Sweden’s naval history, merchant shipping and ship building. I found the section on container ports of particular interest as it was presented in a clear, easy to follow layout. Upon leaving the museum, instead of walking back through the park, we noticed a bus stop at the far side of the museum and we only had to wait a few minutes for a 69 bus to arrive which whisked us back to T-Centralen in a short space of time. We then transferred to the blue line of the metro to Solna Centrum, about a six minute walk from our accommodation. Back at our apartment we had a couple of hour’s rest before returning to Djurgården by metro and bus. The temperature had dropped slightly and we enjoyed a pleasant stroll along the waterfront working up an appetite for our dinner. 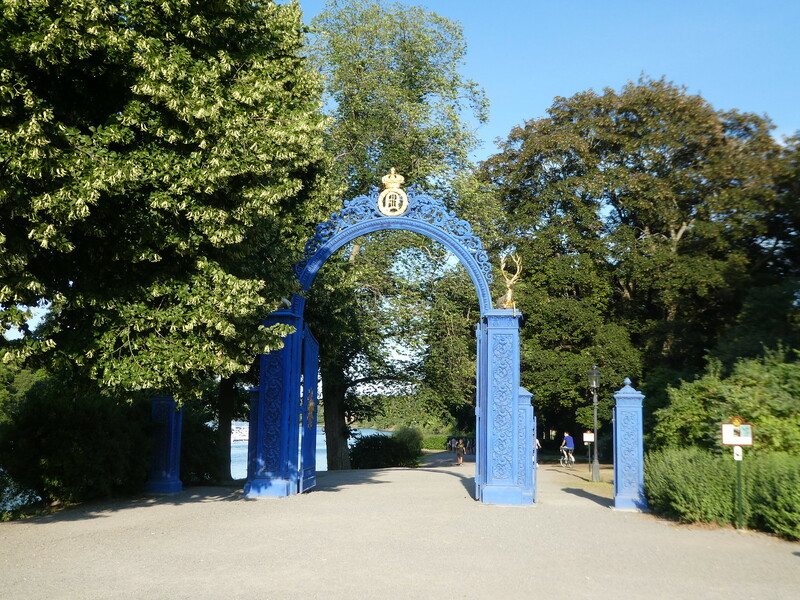 After crossing the bridge, we passed through an ornate blue archway into the park and a little further on we came to the Ulla Win Bladh restaurant where we had reserved a table for dinner. 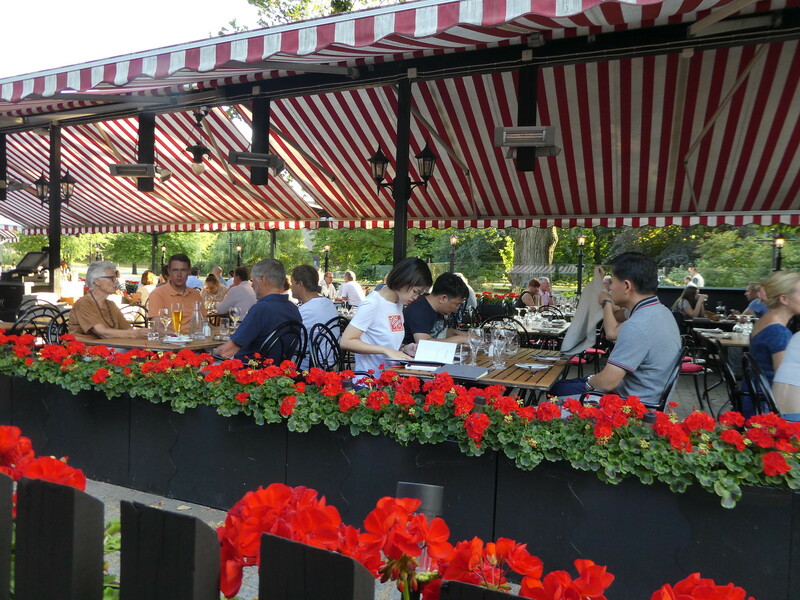 This historic restaurant dates back to 1897 and during the warm, summer months guests are able to dine on its beautiful large terrace surrounded by pots of bright red geraniums. We were shown to our table and introduced to our waiter Raffaele. 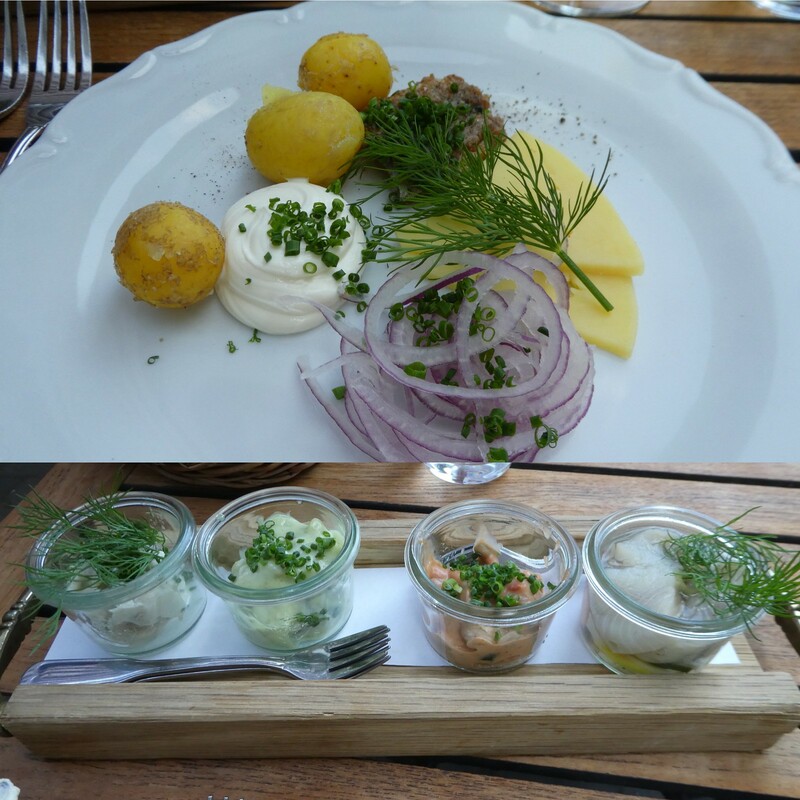 The restaurant specialises in traditional Swedish cuisine and as there were so many interesting dishes on the menu, it was difficult to choose. Decisions made, I ordered herring five ways for my starter, which was so huge it could quite easily have been a meal in itself. The herring was accompanied by cheese, pickles and bread. Mr. C. selected a goose terrine with fruit and nut bread accompanied by rhubarb poached in wine which he told me was delicious, so naturally I had to sample some of his as well! For our main courses we both decided to have lightly salted salmon served with new potatoes in a cream sauce. I don’t usually select fish for both starter and main courses but as it was such a hot evening I didn’t really want a heavier meat dish although they did sound tempting. Raffaele suggested a bottle of Soave which complemented our dishes very well. As each dish was brought to the table I was impressed with how Raffaele took the time to explain what everything was and how it had been prepared. 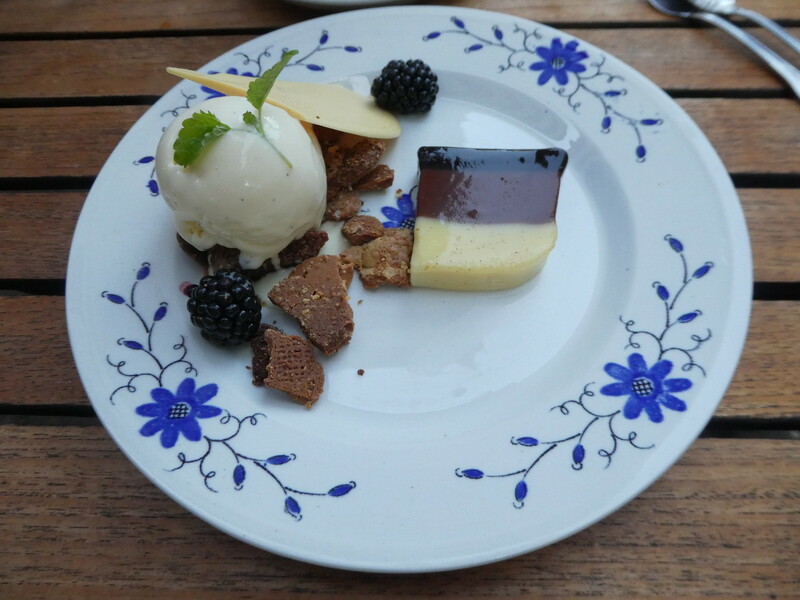 For dessert, I chose a trio of chocolate with ice cream whilst a summer pudding tempted Mr. C. They were both delicious and I was in chocolate heaven with my selection. Relaxing with cups of coffee we chatted to guests at neighbouring tables. 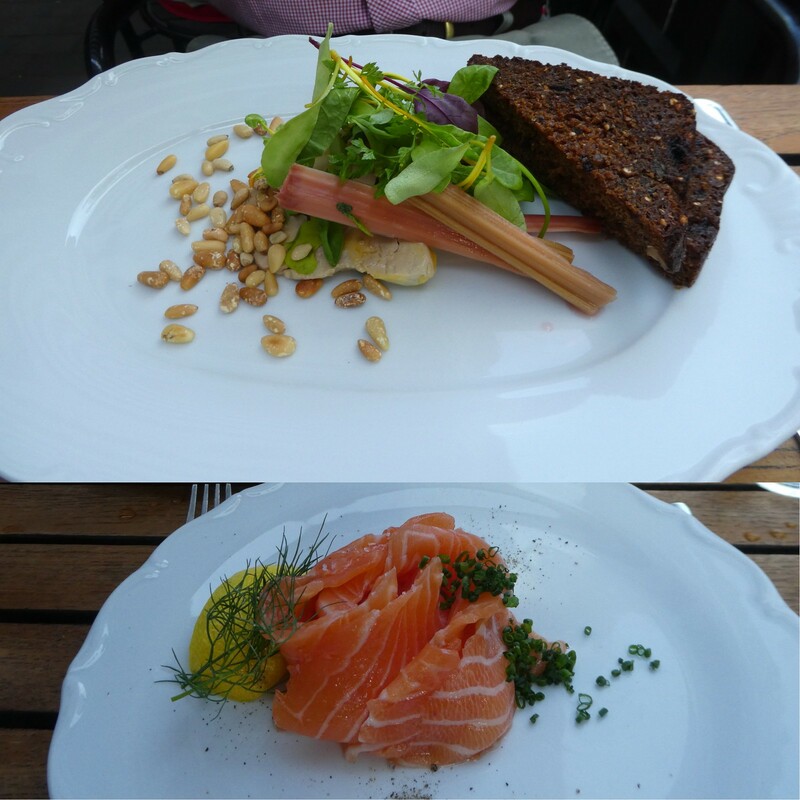 The couple sitting at the table behind us were from Glasgow in Scotland and agreed with us that Ulla Win Bladh was the perfect location to enjoy a traditional Swedish meal whilst visiting Stockholm. Both the food and service were superb and I would definitely recommend the restaurant for a memorable evening out in this beautiful part of the city. We strolled gently back through the park pausing to watch some locals play a traditional Swedish game with wooden blocks. 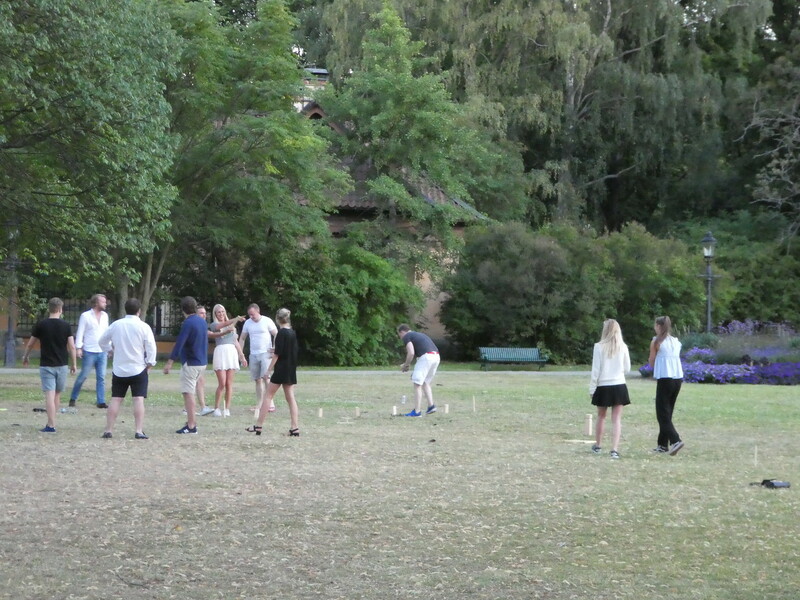 A Swedish lady and her American family joined us and tried to explain the intricacies of the game known as Kubb which they told us was usually accompanied by one or more glasses of beer. It was a fun end to an absolutely lovely day in the beautiful city of Stockholm. i went here last week and loved every second! the interactive side of it is very clever and fun! It’s so nice to read that you have recently visited the ABBA museum, it really is lovely and I’m glad you also enjoyed it. 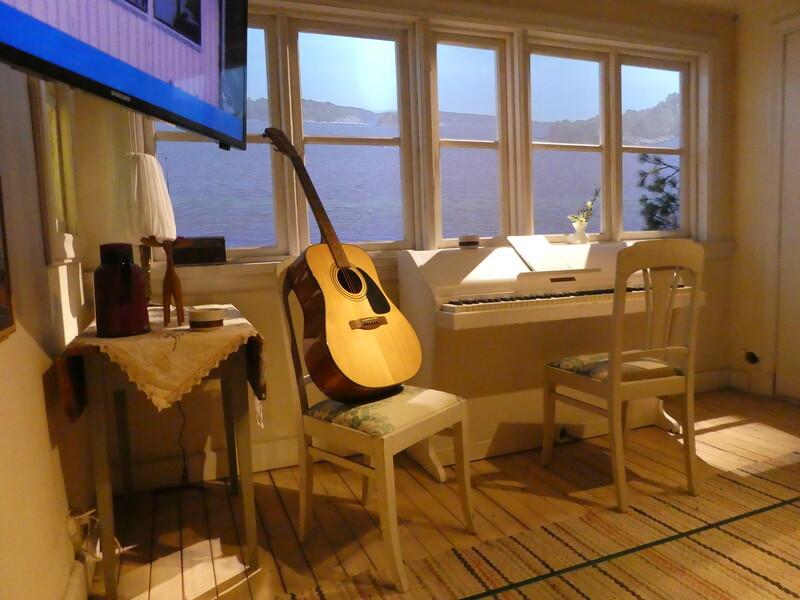 I really enjoyed reading all that you put into your story about visiting the Abba Museum. Way back in 1979 when I was in the U.S. Air Force, I was based at RAF Bentwaters near Ipswich in England. 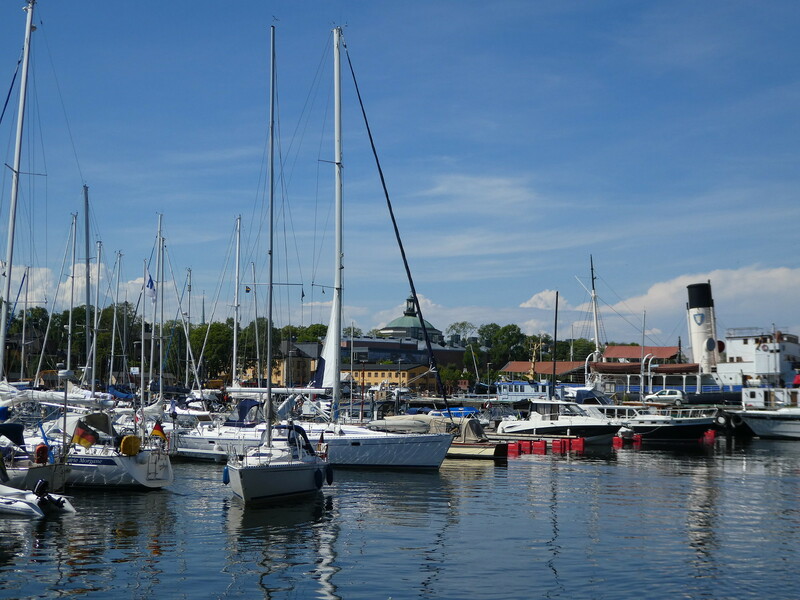 I took an overnight ferry from Felixstowe to Gothenburg, Sweden and checked into a hotel not far from the port. To my amazement, I saw a poster advertising an Abba concert that night directly across the street from the hotel at I remember was a big area. After checking into the hotel, I headed straight to the ticket office and was able to purchase a ticket way up in the nosebleed section, but it was still such an awesome night to see Abba perform in their home country and a great delight to hear them speak in between songs in Swedish. I couldn’t understand a word they were saying, but it was a great delight. Thank you for bringing that great memory back to the forefront of my mind. How marvellous that you managed to get tickets to see ABBA so easily. It’s so nice to hear from you and your nice comments are much appreciated. I so enjoyed this post, especially as I am an ABBA fan too! 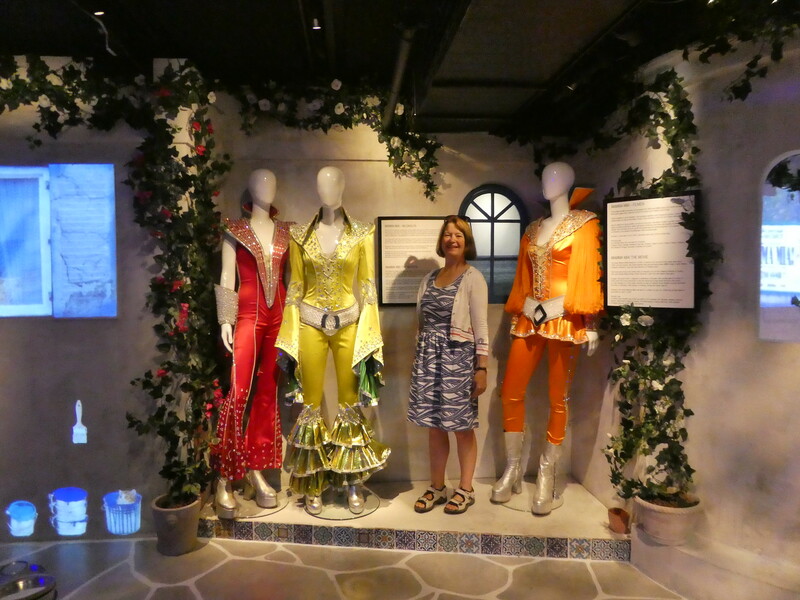 Thank you so much for including a link to my post on the ABBA Museum in your own post. I also enjoyed reading about how you spent your time in Stockholm and I’m going back to read about Helsinki as that’s another city close to my heart! I know, but it just wasn’t for him! Thanks for your welcome thoughts. Yes, it was a fun day rounded off with a lovely, leisurely dinner. The ABBA Museum was great but my attempts at Karaoke less so! I looooooove ABBA! This place is on my bucket list for sure! Thanks for letting me live vicariously through your post. Thanks Dani for your welcome thoughts. It’s great to read that you are also an ABBA fan. You would love the museum, and Stockholm! I have to admit that I was well-taken with the music of ABBA, back in the day. My favourite of theirs is “Fernando”. I also have to say that I would favour the Maritime Museum, as I grew up in a seafaring town. I think there are few people who didn’t enjoy ABBA music and it was a contrasting day to also visit the Maritime Museum. Thanks for your welcome thoughts. Would love to visit this museum! I love both karaoke and ABBA! Thank you for commenting. I do hope you get an opportunity to visit the ABBA Museum one day. Stockholm looks fabulous and the Abba Museum even better. All of the interactive stuff looks good too. Not sure about the karaoke myself but well done for having a bash at it. Thanks Jonno, I loved the ABBA museum but wouldn’t have attempted the karaoke if anyone had been able to hear me! I love the idea of karaoke but just don’t have the nerve to actually do it. Love your tour of the ABBA Museum. Still great music and glad your choice of d Sweet was good. Looks great Marion. Thanks Sue, I’m glad you agree with me that ABBA music is still great! 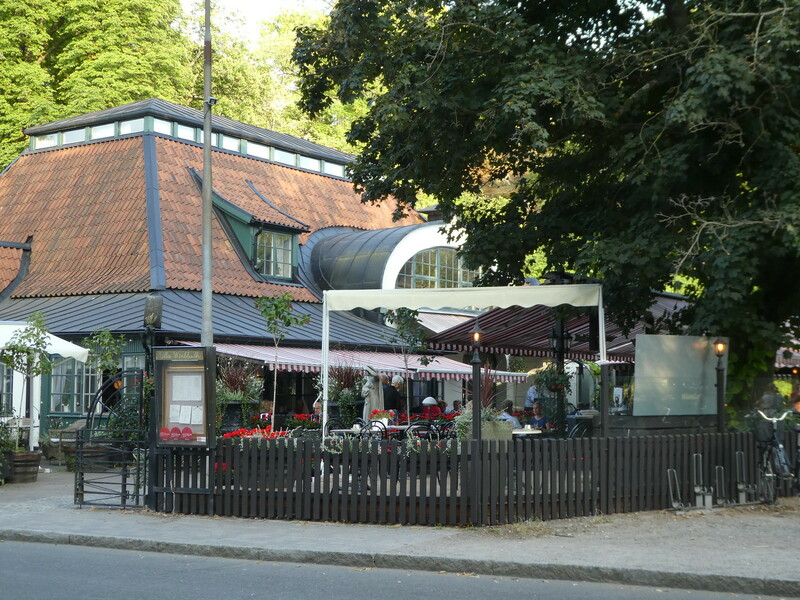 That restaurant was lovely too if ever you are in Stockholm! 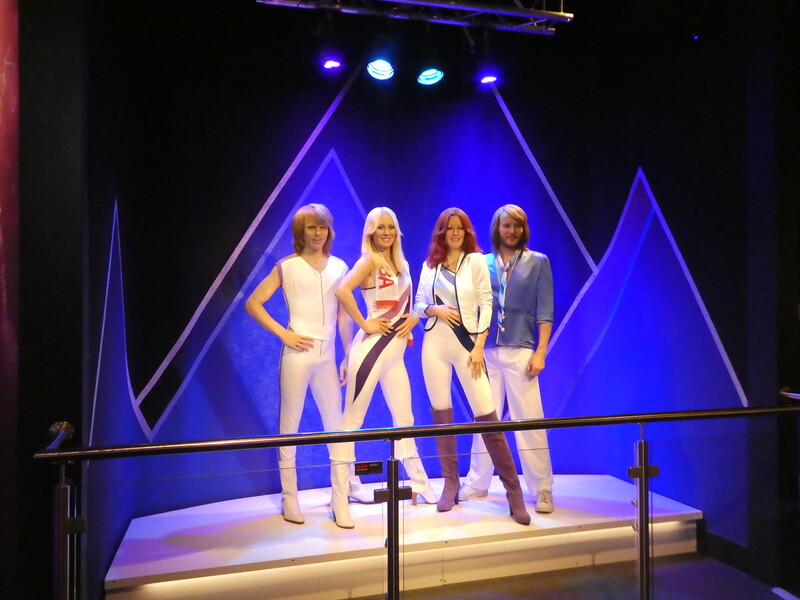 When, not if, when I visit Stockholm, the ABBA museum is a definite must-see. I still love their songs: Dancing Queen and Chica-cheta (don’t know if that’s the correct spelling), and that’s telling me age 😁. There were my favorite group back in the day. This post took me down memory lane. Love it. Thank you for your kind words. It’s so nice to read that you are also an ABBA fan and my post brought back some happy memories! 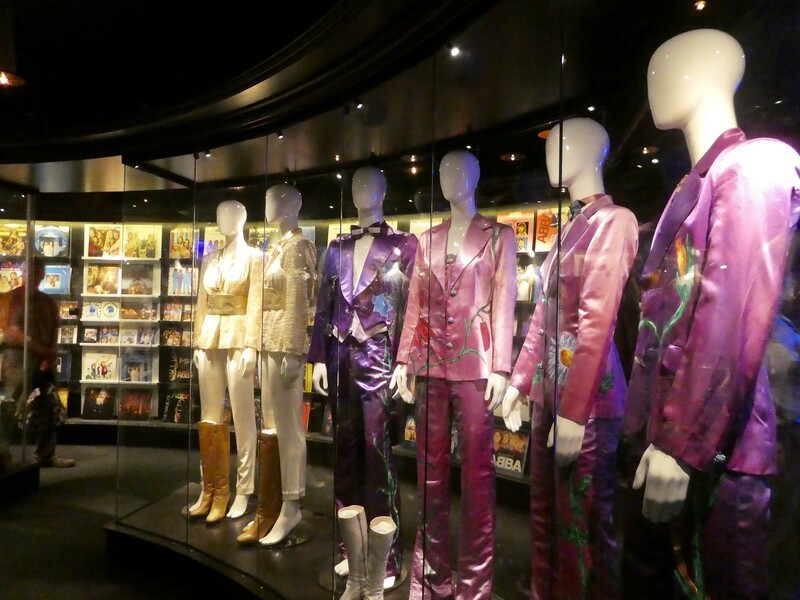 I would love to have visited that ABBA museum. They had successful individual careers before linking up and what a great thing for us all that they did link up and provide such enormous hits. I notice that they are even being treated as classics today. It’s so nice to read that you are also a fan of ABBA music. The museum was a real treat Ian. 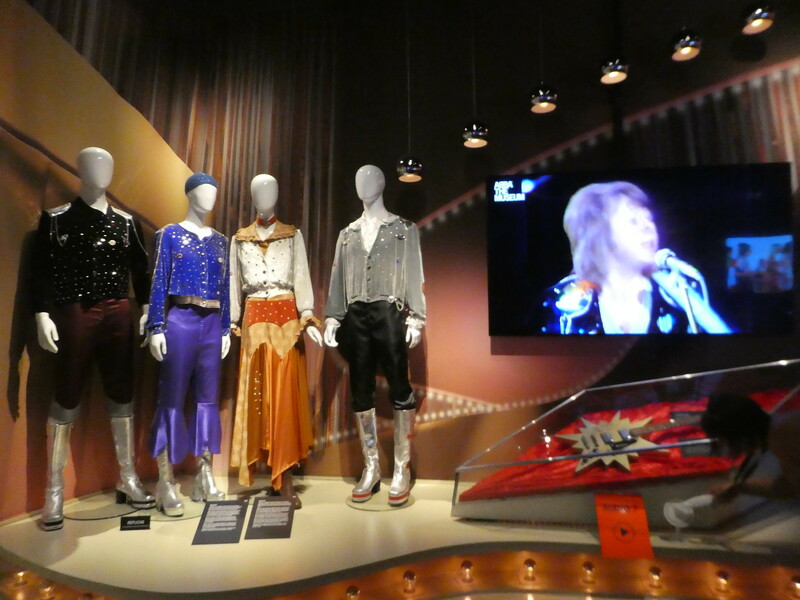 I would definitely go to the ABBA Museum . That herring plate looks delicious . Have you found Stockholm to be really expensive ? Looking forward to reading more about your trip to Sweden . The ABBA museum was great and dining at the Ulla Win Blath restaurant was delicious and a memorable evening. Sweden is more expensive than many European countries but isn’t too bad. Great tour, wonderful photos, thanks for taking us along the journey. Thank you for your kind words Marcus. 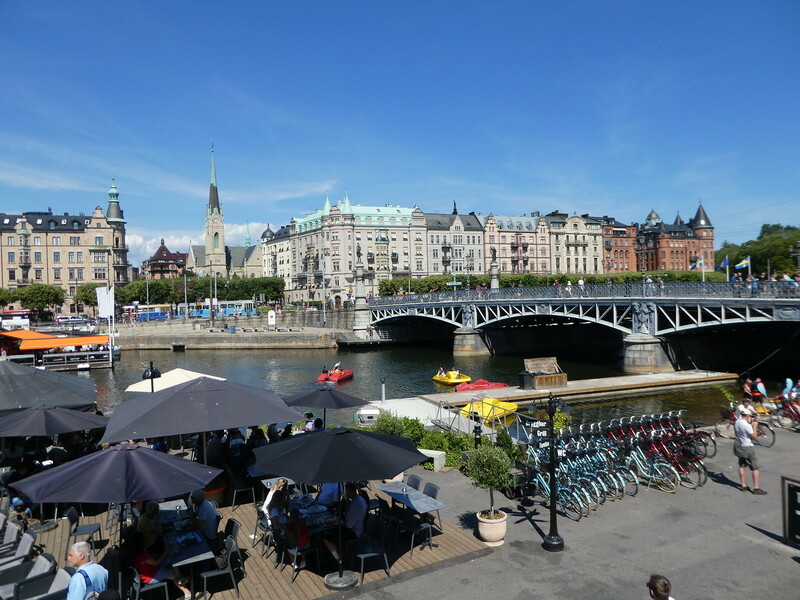 Although we are very familiar with Helsinki, Stockholm was new to us but equally beautiful. I’m so pleased that you agree with me about the ABBA Museum. It’s certainly worth a visit and I hope you manage to get there one day! I love ABBA – so jealous. We have to make it here some day! Oh you must try and visit Stockholm as it s such a beautiful city and I’m glad to read you are also a lifelong ABBA fan! I would love the ABBA museum and can see my husband dreading being dragged there. But, like your spouse, he would have enjoyed the guitar exhibit. It’s so good to read that you share my love for ABBA and to find that our husband’s have similar tastes! Thank you so much for taking an interest in this post. Going to the ABBA Museum was great and it brought back many happy memories. I loved everything about this post! I learned quite a bit and chuckled thinking of you belting out your personal recording! I was also a huge Monkees fan 😁 When Sweden appears on my travel itinerary I will take your words to heart! Thank you s much for your lovely thoughts this post. I’m definitely better at the writing than the singing! Thanks for your kind words Allan. By the way, I was a great fan of the Monkees too! Omg!! Why have I missed that you’re in Sweden!! First of all welcome!! Hope you’re having a great time exploring Stockholm. Are you only going to be in Stockholm or are you going to explore some other cities? If you are, I would be happy to as a local – give you some tips where to go! Thank you for your kind words. Stockholm is absolutely beautiful . It would have been the other way around for us. My husband is the Abba fan (I like them too 🙂 ) but I’d have been happier in the Maritime museum. Somewhere else to take your husband then Jo is ever you decide to head north! Thank you for your ever welcome thoughts. What a good tale. If ever I venture there, it’s on my list. Thank you for your kind words, so appreciated. I do hope that one day you have an opportunity to visit Stockholm and the ABBA museum. What a beautiful place and post. So well written and I grew up with ABBA as well. “Take a chance on me” 😉 I have fond memories of that time. Thank you for sharing. Thank you so much for your much appreciated comments on this post about ABBA, the Museum. ‘Take a Chance on Me’ is another of my favourites. It certainly is worth a visit. And I learned quite a lot. I’m too young to have known their active years but ABBA is ever present at (wedding) parties. They’re effect on culture is immense. Thank you for taking an interest in my post on ABBA and it was good re-read about your own visit to the museum. It seems like it was much busier on the day you visited. It was a Friday or a Saturday. So yes. I remember how many young people were there. Not only middle aged people looking to relive their youth. Thank you Sally, we had such a lovely day both at the ABBA museum and at the Ulla Win Blath restaurant. Yay! I am such an Abba fan! That’s great to read, the museum was definitely worth visiting !